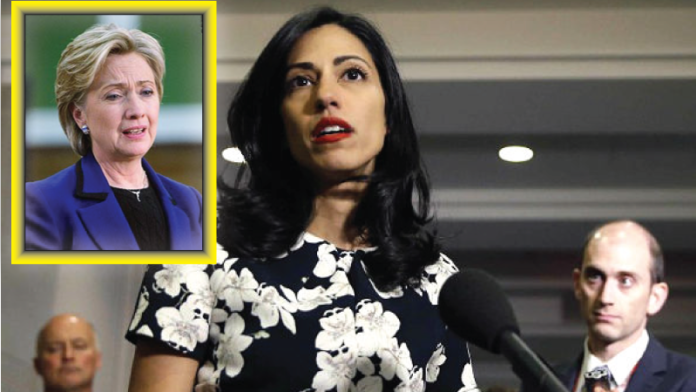 Huma Abedin has been by Hillary’s side for a long time. After those emails were found on her husband Anthony Weiner’s computer. Hillary Clinton does not want her around anymore. According to Hillary’s campaign, Abedin is now sitting in a different section of the plane when it was traveling to Florida. Huma Abedin’s immunity deal is over. This is the end of Hillary Clinton. Her campaign is sinking faster than the Titanic. The Clinton campaign is falling apart and it is time to put Trump in office. The election is over.